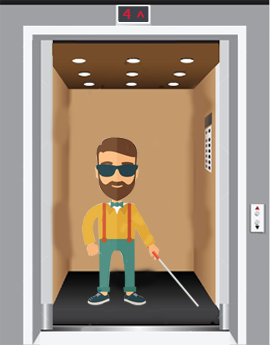 Home elevators provide mobility solution for handicapped people. 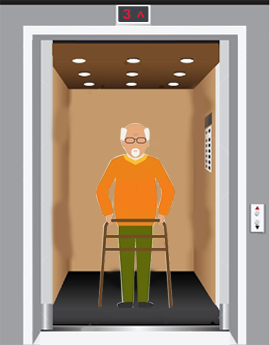 How Home Elevators are providing Mobility Solutions for the Elderly and People with Disability. 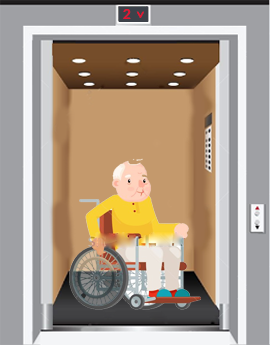 Home elevators provide comprehensive solution to the mobility needs of elderly or People with disability. It enables them to live on their own. Traversing a multi-storeyed house or apartment does not pose any challenge. Home elevators provide easy way to carry material and passengers up and down across floors in a multi storeyed house. Advance technology has made Home elevator Safe, comfortable, easy-to-operate and long lasting with little maintenance. Following Features of Home Elevators made them idle choice for home usage. Easy of operation, push button controlled. Low cost solution to high luxury available. Brail enabled call buttons for visually impaired. All these make the Home elevator excellent choice to be used in home. These can be easily adapted by senior citizens and person with disability. By using fully equipped and customised Home elevators, they can move freely and independently. Size: Cab size may vary according to requirement, usually 1.2 sqm is sufficient. Framed Structure: if the building already has the provision of a shaft with concrete beams/brick work and pillars forming framed structure a lift can be setup. Otherwise Outdoor lifts with access from the wall can also be provided, where mounting is on the MS Rails/Channels. Vertical Limits: Home lifts are usually designed to cater upto 15 meters or 5 floors (3m height per floor) vertical distance. Loading Limits: Usually designed for 2-3 persons or up to 275 kg of static load. Maintenance Requirement: Needs inspection in six to eight month and repairs may be done as per requirement. Machine Room Space: May be required on top if you opt for overhead widening drum type elevator, otherwise, electric traction & Hydraulic type lift does not require additional Machine room space. License Requirement: for commercial elevators license is required but for home lifts same is not mandatory. Installation of home elevators not only adds to convenience of the house but also increases the value of property. So go ahead and install one in your home today and make life easier for your family and guests.